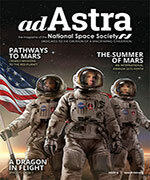 NSS conducts projects that advance the cause of space development and settlement. We welcome your involvement in these projects. See the project pages below to get involved. 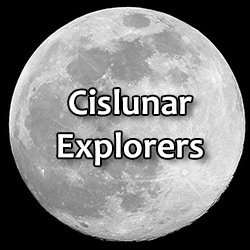 The Cislunar Explorers project teams NSS with Cornell University with the goal of placing a small spacecraft in orbit around the Moon as part of the NASA CubeQuest Challenge. The spacecraft will demonstrate two technologies critical to the development of space: the electrolysis of liquid water using the resulting hydrogen and oxygen as fuel and oxidizer, and an autonomous navigation system. Learn about the project and the NSS role in it. 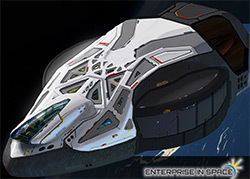 Enterprise In Space (EIS) is a program that will culminate in orbiting an actual spacecraft, the NSS Enterprise. EIS is intended to motivate teachers and students to participate in the design and operation of the spacecraft that will carry over 100 student experiments into low Earth orbit and return them to Earth to after a successful mission. After the NSS Enterprise has returned to Earth, it will embark on an international tour, then come to rest in a major museum, most likely the Smithsonian. Discover more about the program and learn how to become a “virtual crewmember” of the NSS Enterprise. 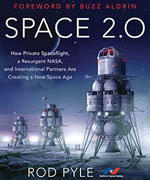 NSS has contracted with space historian and author Rod Pyle to write a new book entitled Space 2.0. 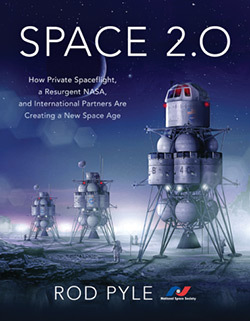 This new book will embark on a compelling narrative about the future development, exploration and settlement of the final frontier. Learn about the project and the NSS role in it. 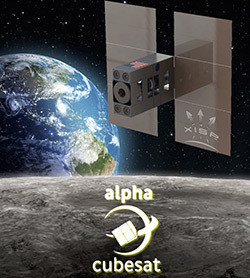 NSS has joined with Team Alpha CubeSat in their quest to launch a cubesat from the International Space Station to deep space—a first. As part of the NASA CubeQuest Challenge, the spacecraft will use a series of low-energy trajectories to journey into deep space (greater than 4,000,000 km—about ten times the distance to the Moon) and return to orbit the Moon in an experimental resonance orbit. In the process, the spacecraft will demonstrate a number of technologies. Learn about the project and the NSS role in it. Space Ambassadors is an outreach program whose goal is to deliver exciting information about space to the general public. Phase I, designed as a global grassroots effort to inspire, educate, and communicate the daily life benefits of space exploration and research, was concluded at ISDC 2016. Lessons learned from Phase I are being considered with an eye toward a potential second phase of the program. Learn about the sponsors and award winners of Phase I.